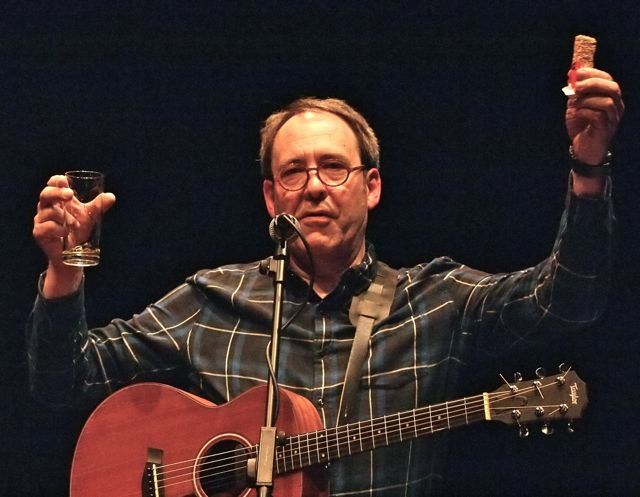 The Malt and Barley Revue is an hour-long performance of songs, odd stories and hilarious poems by broadcaster, musician and raconteur Tom Morton, all about Scotland and whisky. With occasional detours to Ireland and Japan. And even England. But that’s not all. Included in the price is a guided tasting, with international expert Angus McRaild, of THREE top drams! Angus is also available before and after the show to value your rare bottles of whisky. Funny, informative, laced with tragedy and tall tales, the Malt and Barley Revue will take you from Aberlour to Tomatin and back via Bruichladdich, Bladnoch and…what was Captain Haddock’s favourite dram? What do the Lady Boys of Bangkok have to do with it? Why is Japanese whisky rooted in Kirkintilloch? And Tom, in his inimitable way, will tell his own story of a trip from teetotalism to…sooking whisky straight from the barrel. With a rubber hose. Musically. Illegally. Performed to great acclaim throughout Scotland over the past three years, this is one of only a handful of shows in 2015. Don’t miss it! Slainte!